The countdown to the end of summer is on and we have a lot of summer activities to fit into our last days of freedom. At the top of the list is having a backyard camp out so we put together a list of items we think you should pack for your overnight trip in the yard. Here are this week’s Items We Adore: LTD’s Product Picks for the Week for Backyard Camping. 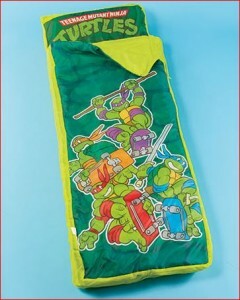 Sleepy Time Make sleeping away from home more comfortable with a Licensed Inflatable Sleeping Bag. The sleeping bag has an inflatable mattress that adds extra cushioning for resting on the floor or ground. Its headrest has a slight pillow shape. The comfy cover fits perfectly over the mattress. Included manual pump makes it easy to inflate and deflate. Light Up the Night The only device you’ll need in an emergency! 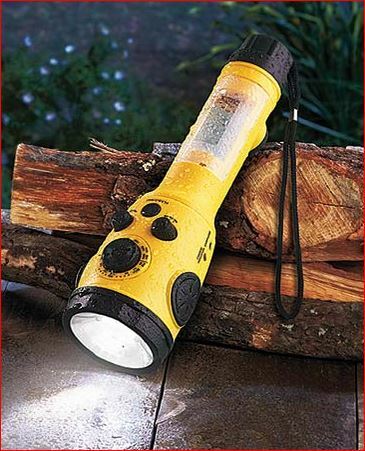 The Weather Radio Flashlight will warn you of impending severe weather, keep you up to date on the storm’s progress and provide you with light during a power outage. Features AM/FM and NOAA weather band radio. Gives an alert signal for all National Weather Service hazard broadcasts 24/7. The flashlight offers both area illumination and emergency flashers. Includes a built-in, retractable 110V AC home charger and a hand-cranking feature that ensures you’ll never be without power. Has a phone charger socket for recharging your cell phone. Colorful Campfire Transform your fire into a dazzling display of colors with the Set of 5 Colorful Fire Packets. 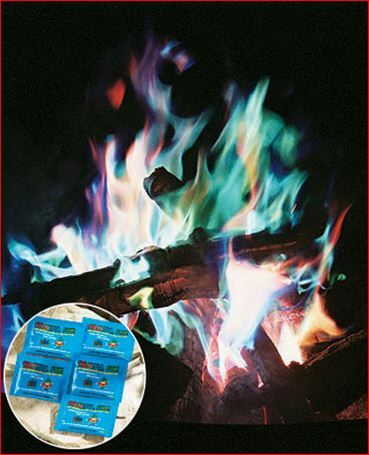 Simply toss an unopened pack into your indoor/outdoor wood-burning fire and watch as the flames transform to shades of blue, green, purple and more. Size and intensity of fire determines how many packets are needed. An average fire requires 1 packet for approx. 45 minutes of color. 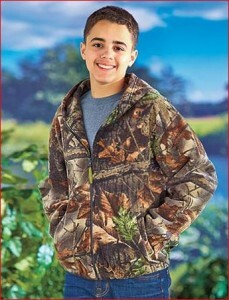 Cover Up He’ll be nice and warm wearing this Boys’ Camouflage Fleece Hooded Jacket. The full-zip jacket features the Highland Timber(TM) camo print. The fabric is designed for maximum breathability, with an anti-pill finish that makes the jacket durable and long lasting. Has 2 front slit pockets. 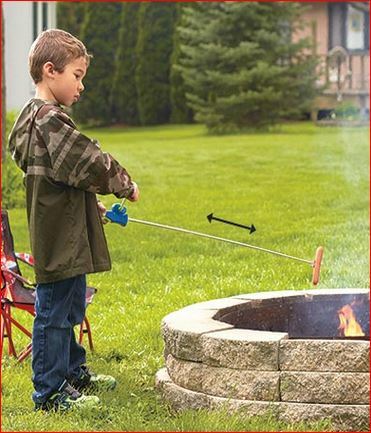 Good Eats Turn the crank of the Marshmallow & Hot Dog Reel Roaster, and the skewer rotates to cook all sides evenly. Kids and adults will love to make meals and snacks over an open flame with the Reel Roaster. The stainless steel skewer is easier to use than traditional skewers and cleaner than cooking on a stick. The skewer is telescopic and the roaster extends from 16-3/4″ to 34″L, so you can control the distance you stand from the fire. Cleanup is fast and easy–simply remove the skewer from the reel to wash. Get several for your next camping trip, cookout or BBQ. The easy way to evenly roast a hot dog or create perfect s’mores. These last few weeks of summer are going by fast! Make the most of them with LTD Commodities. 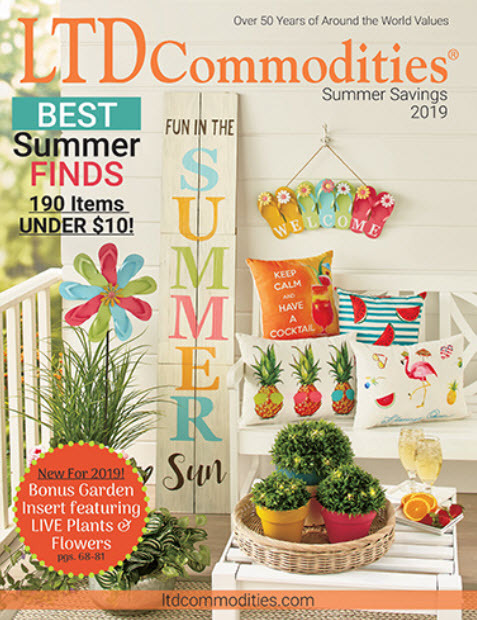 From ideas for spending time outdoors to products to help keep you entertained, shop LTD for everything to close out the summer right.